Assassin's Creed Odyssey: Legacy of the First Blade - Episode 1: Hunted (there's no way in heck we're writing that again) is the first chapter of downloadable content for Odyssey -- a game that's already fit to burst with... Everything. Fortunately, Hunted does enough to stand out as its own little slice of adventure, ensuring that it doesn't get lost in the title's jam-packed open world. Hunted is a story-based expansion of sorts, offering around three or so hours of additional content. Its story missions are pretty straightforward and the gameplay is nothing new, but if you like Odyssey, then you're going to like this. 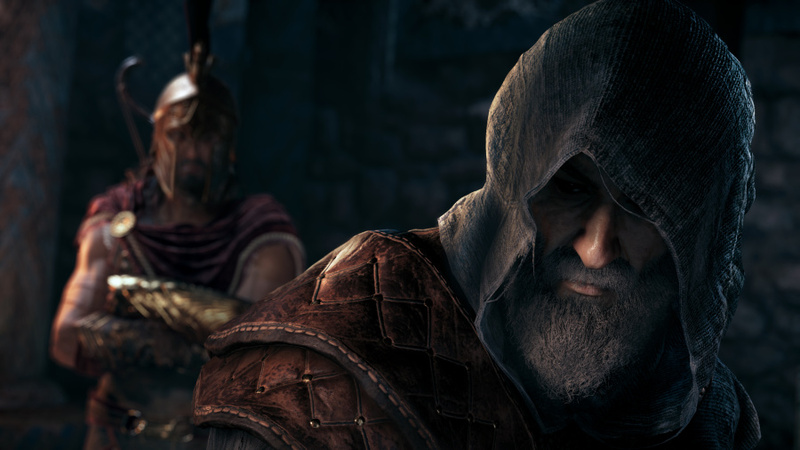 The whole episode takes place in Makedonia, the most northern region of Odyssey's map. You may have travelled up there before when you've been exploring in the main game, but you'll find that there's a lot more to it once you've got Hunted installed. The region's autumnal forests and abundant wildlife make it a picturesque backdrop to this tale. Narratively, Hunted can take place at almost any point during Odyssey -- you don't have to have finished the title's main story for it to make sense or anything like that. The rub is that there's a new masked cult in Greece, and they're hellbent on hunting down your hero. 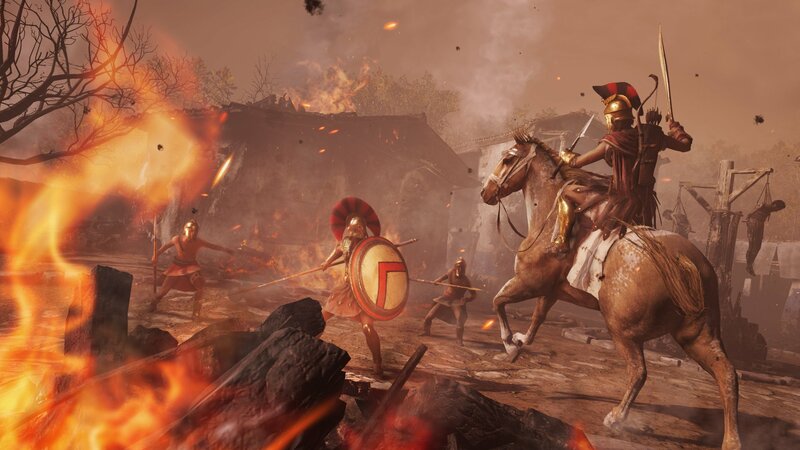 Alexios or Kassandra will be aided by a couple of new characters who primarily act as quest givers, although there's a history to them that certainly sparks some intrigue. 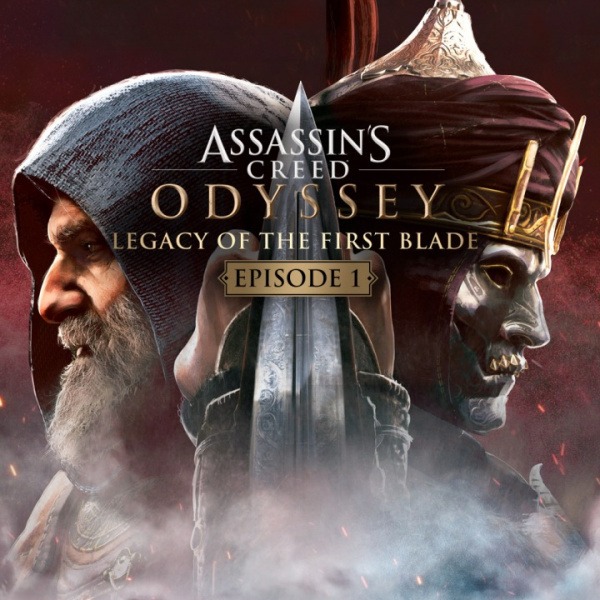 This Legacy of the First Blade saga seems to be Ubisoft's way of tying the usual Assassin's Creed lore into Odyssey, as the plot in the base game never quite hits the notes that you perhaps expect it to. Although Hunted doesn't provide you with every answer, it's important to note that it does feel like its own contained story -- there's no cliffhanger ending here, even though you know that there are two more episodes releasing in 2019. 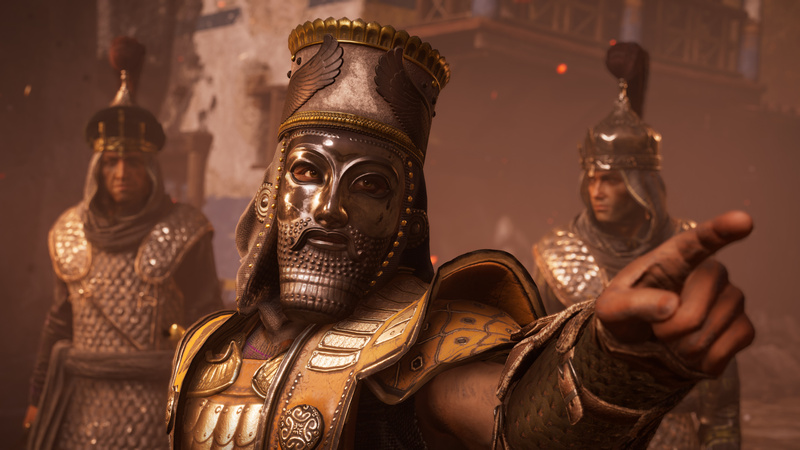 Again, Hunted doesn't bring anything new to the table, but it does revive one of Odyssey's best gameplay elements by giving you a new set of cultists to find and murder. If you've dealt with the masked fiends in the main game, then you're probably going to enjoy tracking this lot down. It's looking like each Episode will add its own group of baddies, and by the end, you'll have erased another shady organisation from history. Player choice also makes a return, giving you dialogue options at key points in the story. Although most of these decisions are ultimately superficial, there are a few cool moments in Hunted where you get to further define your hero's personality. We're really hoping to see more of this throughout Legacy of the First Blade. Assassin's Creed Odyssey: Legacy of the First Blade - Episode 1: Hunted is a solid starting point for what could turn out to be an interesting story. While the DLC doesn't bring anything new to the table in terms of gameplay variation, it does provide a well made slice of open world adventuring, complete with some thoughtful character moments. It goes without saying, but if you're a fan of Odyssey, then you're going to enjoy Hunted. New cultists? Sold (I have the season pass but still...). Was missing that aspect of the gameplay recently. I just started AC: Odyssey yesterday and I'm enjoying it quite a bit so far. I love how fluid the movement is - it's very seemless. I dig the dialogue options too, but I wish the conversation(s) were a little more tightened in terms of being realistic. Sometimes their responses don't flow naturally. Other than that, I have no complaints.